Designed, Engineered, Fabricated and Installed by our in house experts. 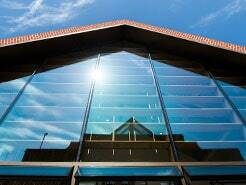 Keep your existing glazing in excellent condition with regular, planned maintenance. Our in house experts will produce a cost effective plan and manage your difficult to access damaged glass. Our in house operatives will can clean, maintain, and refurbish your existing structure and extend its lifetime. Vitrine’s experts will perform a carefully planned condition survey and produce a detailed report of your existing structure. Our skilled operatives will track down and isolate the source of your leak and perform remedial works to prevent it re-occurring. 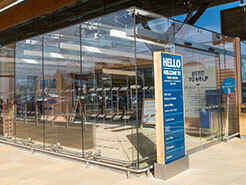 Vitrine are accredited dealers of Pilkington PlanarTM and specialise in the maintenance of the system. 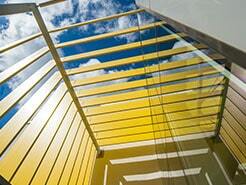 Vitrines In house experts will carefully plan and execute your difficult or unusual glass replacements. 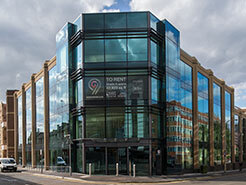 Vitrine Systems Ltd, established in 2001, brought its specialist knowledge of Architectural and Structural Glazing to the industry. Since 2001 the company has rapidly grown due to its technical superiority and its professional approach to every task undertaken; forging new client bases and building upon existing ones. Vitrine provide a high quality service tailored to suit our customers’ needs (utilising a range of architectural glazing systems) and we believe that one of our main strengths is our flexible approach to our customers’ requirements and ensuring that all our projects are designed, manufactured and installed to their exacting standards. Glazing Refurbishment, Condition Surveys and Reports, High Level Glass Replacements, Glazing Maintenance – Preventative and Reactive, Commercial Glass Replacement, Pilkington Planar Maintenance, High Level Glazing & Rope Access Solutions, Leak Detection & Rectification, Design & Build – New Build and Refurbishment Sectors.